Unsuccessful applicants are encouraged to reapply the following year, if eligible. Other accomplishments may influence the selection committee in the event of a close decision. The winner will be notified immediately upon the selection committee's decision in September. 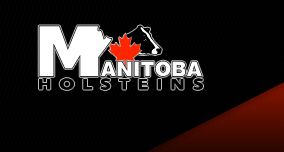 Official announcement of the awards will be made through the Manitoba Holstein Newsletter and/or the Milkline. Presentation of scholarship will be done at the Manitoba Holstein Branch Annual General Meeting in December. No individual will be eligible for a second award. For further information on the Manitoba Holstein Branch Scholarships, contact the Branch secretary. Contact Tara Reimer of the MB Holstein Branch for an application form. Deadline is October 1, 2012.